Acai, a small dark purple fruit that is so tasty, that you can hardly believe it is also good for you. 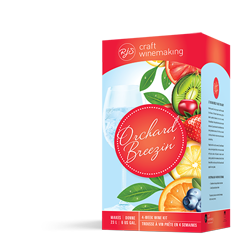 This intense fruit combined with sweet, ripe raspberriescreate a powerhouse of a wine. This classic Italian style wine is packed with rich raspberry, blackberry and cassis flavours. Deep, dark, and inviting, the finish is long, lingering, and full of ripe tannins. Tastes great with heavy meat like beef or lamb with gorgonzola sauce. Heavy Oak, Full Body, Dry. Argentina’s best known and cherished red grape, Malbec, is blended with spicy Syrah to create a wine with pleasant toasty aromas and hints of cherry and dark fruit on the palate. Fermenting your wine on GenuWine Winery Dried Grape Skins will add deep hues, enhance the bouquet, and promote chewy tannins for a lingering finish. Pair with honey garlic chicken wings or beef brisket. Medium Oak, Medium Body, Dry. 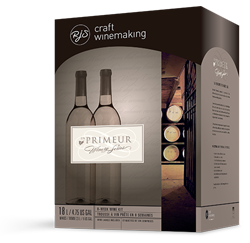 A classic Cabernet Sauvignon with a nose of blackcurrants, dark chocolate, and subtle toasty notes with hints of coffee and vanilla notes on the palate. Fermenting your wine on GenuWine Winery Dried Grape Skins will add deep hues, enhance the bouquet, and promote chewy tannins for a lingering finish. Pairs well with meatloaf and mashed potatoes or prime rib au jus. Medium Oak, Medium Body, Dry. An elegant wine bursting with flavours of ripe black cherries, red berry fruits, and delicate spice notes on the palate superbly balanced with oak. Fermenting your wine on GenuWine Winery Crushed Grape Skins will enhance the bouquet and contribute soft velvety tannins for a round, juicy mouthfeel. Try it with grilled salmon, sweet onions and red bell peppers or wild mushroom bruschetta. Medium Oak, Medium Body, Dry. This deep garnet red wine is well balanced with lively aromas of black pepper, blueberries, chocolate, and toasted oak. 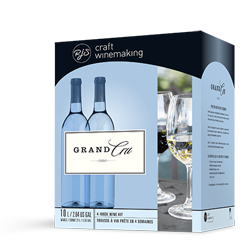 Medium-bodied, it is robustly built with soft silky tannins from fermentation on Genuwine Winery Dried Grape Skins. Fermenting your wine on GenuWine Winery Dried Grape Skins will add deep hues, enhance the bouquet, and promote chewy tannins for a lingering finish. Shiraz loves the flavours of the Middle Eastern foods. Pair it with grilled lamb or hummus and pita chips.Fermenting your wine on GenuWine Winery Dried Grape Skins will add deep hues, enhance the bouquet, and promote chewy tannins for a lingering finish. Medium Oak, Medium Body, Dry. Soft yet fruity, this Australian style Cab shows more complex varietal fruit flavours, including cherry and blackberry than its Old World counterpart. Great with roasted duck or beef and veggie stirfry. Medium Oak, Medium Body, Dry. These three noble grapes, grown in Australia’s warm climate, have produced an elegant wine with aromas of leather and black pepper and intense jammy flavours of blackberries. Great with roasted meat including beef, lamb or veal. Heavy Oak, Full Body, Dry. A fruit forward blend with firm tannins and notes of cassis and toast and vanilla flavours from the American oak create a balanced classic wine. Fermenting your wine on GenuWine Winery Crushed Grape Skins will enhance the bouquet and contribute soft velvety tannins for a round, juicy mouthfeel. Try with roast beef, prime rib or aged cheddar. Medium Oak, Fully Body, Dry. Warm black fruit and berries entice the nose, while concentrated flavours or red fruit, oak, and chocolate round out the experience of this satisfying medium-bodied wine. Fermenting your wine on GenuWine Winery Dried Grape Skins will add deep hues, enhance the bouquet, and promote chewy tannins for a lingering finish. Pairs well with pasta and tomato sauce or grilled steak. Heavy Oak, Medium Body, Dry. This full-bodied red wine is deep and dark in colour with a rich bouquet of fruit and a hint of cassis. It ages gracefully into a velvety wine of pure elegance. Ideal with spicy chili con carne or burgers with grilled onions and gouda cheese. Heavy Oak, Medium Body, Dry. Bursting with rich aromas of red and black cherry, this full-fl avored wine also has a hint of dark chocolate fused with plum on the nose. Rich and sweet on the palate with an enjoyable warm fi nish, this dessert in a bottle is an irresistible complement to your holiday festivities. As one would expect from a BC style Pinot Noir, this wine features aromas of black cherries and fresh strawberries. Silky tannins while subtle notes of pepper and spice round out the palate. Tastes great with Mexican enchiladas or Indian green lentil curry. Medium Oak, Medium Body, Dry. Your palate will be overcome with flavours of sweet and tart red berries and apricots. A lingering honey finish will have you craving more. Considered the noblest of all grapes, this full-bodied red is dark in colour and aggressive in nature. A hint of violet is present in the bouquet, typical of this variety. It’s superbly enhanced with the addition of oak, and does well with age. Great with roasted vegetable pizza or roast chicken and mushroom sauce. Medium Oak, Medium Body, Dry. A balanced classic Cab style wine with berry, toast and vanilla aromas and berry flavour with well integrated oak. Try it with meatballs or lamb chops. Heavy Oak, Medium Body, Dry. This is a classic big, bold California red blend. It exudes pronounced flavours of black cherries and berries layered with toasted oak, vanilla, and rich notes of dark chocolate and coffee. Try with honey and spice glazed chicken or beef chili and beans. Heavy Oak, Medium Body, Dry. With its spicy notes from the oak, the Genuwine Winery Dried Grape Skins produce soft savory tannins, and a bouquet teeming with vanilla, mint, and tobacco. Cherries and ripe blackcurrants will arouse your senses, finishing with rich coffee and plum notes. Fermenting your wine on GenuWine Winery Dried Grape Skins will add deep hues, enhance the bouquet, and promote chewy tannins for a lingering finish. This versatile Cabernet Sauvignon pairs well with your favourite meals like burgers, pizza or even fried chicken. Fermenting your wine on GenuWine Winery Dried Grape Skins will add deep hues, enhance the bouquet, and promote chewy tannins for a lingering finish. Medium Oak, Medium Body, Dry. This New World California style Pinot Noir features a bouquet of rich tobacco and ripe dark cherries. The, hint of oak and velvety tannins on the palate are a pleasant surprise. Pairs well with duck breast and pomegranate citrus glaze or pancetta-wrapped grilled turkey. Light Oak. Medium Body, Dry. Raspberries and peppery spice blend in harmony to create an elegant flavor with soft, balanced tannins and a lingering, smooth finish. This is a California wine at its best. Fermenting your wine on GenuWine Winery Dried Grape Skins will add deep hues, enhance the bouquet, and promote chewy tannins for a lingering finish. Try with teriyaki beef or Shanghai stirfry and cabbage. Medium Oak, Full Body, Dry. Zinfandel creates a wine with a luscious bouquet of ripe black cherry and delicate spices. 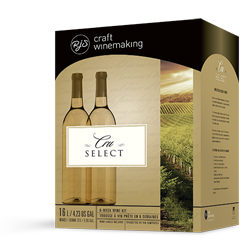 The palate boasts a hint of toasted oak with well-rounded, berry fruit, and a long finish. Fermenting your wine on GenuWine Winery Dried Grape Skins will add deep hues, enhance the bouquet, and promote chewy tannins for a lingering finish. Tastes great with Italian meatball subs or Chinese-style ribs. Medium Oak, Medium Body, Dry. A robust bouquet of warm dark fruit and tobacco leads to elevated aromas of ripe black currants and cherries. Layers of coffee and dark plum notes unfold to reveal a traditional Chilean dry wine with supple tannins. Fermenting your wine on GenuWine Winery Dried Grape Skins will add deep hues, enhance the bouquet, and promote chewy tannins for a lingering finish. Pairs well with Italian sausage or pasta or Spanish Jambalaya. Medium Oak, Medium Body, Dry. A brilliant bouquet of dark fruits with subtle hints of oak, vanilla, and spices. Strong plum and berry flavours balanced by moderate tannins on the palate. Fermenting your wine on GenuWine Winery Crushed Grape Skins will enhance the bouquet and contribute soft velvety tannins for a round, juicy mouthfeel. Perfect with pasta and spicy sausage or BBQ chicken. Medium Oak, Medium Body, Dry. This medium-bodied wine will tantalize your palate with its combination of blackberry, cherry, blackcurrant, and warm spice notes. This Malbec is fermented on Genuwine Winery Dried Grape Skins which creates its silky round tannins. Fermenting your wine on GenuWine Winery Dried Grape Skins will add deep hues, enhance the bouquet, and promote chewy tannins for a lingering finish. Malbec is the ultimate wine for pairing with juicy steak hot off the grill. Medium Oak, Medium Body, Dry. Warm spice notes and aromas and flavours of ripe blackberry and blackcurrant. Chile is well known for these chewy, deep, rustic red wines with intense cherry flavours and blended oak undertones. Fermenting your wine on GenuWine Winery Dried Grape Skins will add deep hues, enhance the bouquet, and promote chewy tannins for a lingering finish. Enjoy with chicken drumsticks and Asian BBQ sauce or Mexican fajitas. Medium Oak, Medium Body, Dry. A classic wine with a rich aromatic bouquet of fresh red cherries, toasted oak, and herbs. Expressive flavours of dark ripe plums, berries, and silky tannins on the palate. Fermenting your wine on GenuWine Winery Crushed Grape Skins will enhance the bouquet and contribute soft velvety tannins for a round, juicy mouthfeel. Serve with grilled beef and sesame dressing or caesar salad and meatballs. Medium Oak, Medium Body, Dry. A robust bouquet of warm, dark fruit and tobacco leads to elevated aromas of ripe black currants and cherries. Layers of coffee and dark plum notes unfold on the palate while the Genuwine Winery Dried Grape Skins produce soft juicy tannins. Fermenting your wine on GenuWine Winery Dried Grape Skins will add deep hues, enhance the bouquet, and promote chewy tannins for a lingering finish. Have fun with this Merlot and try it wih a spicy Cajun jambalaya or your favourite chile con carne - with or without meat. Medium Oak, Medium Body, Dry. Strong notes of green pepper, dark fruit and leather define this rich dark wine. Smooth tannins grace the palate followed by blackberries and spice. Perfect with Chilean dishes such as corn and meat pie or grilled beef tenderloin with cilantro sauce. Medium Oak, Medium Body, Dry. Energize your senses with this comforting flavour experience! Dating back to the 15th century, coffee has been enjoyed worldwide as an invigorating elixir. Typical of medium roast coffee, aromas of toffee, burnt marshmallow and chocolate will entice you and follow through to a palate which finishes with lingering notes of vanilla. Impressive aromas of farm fresh strawberries, violets, and vanilla framed with soft silky tannins. Powerful notes of ripe raspberries, cherries, and dark fruit on the palate. A true French classic wine. Perfect with grilled lambchops or veal and portobello mushrooms. Medium Oak, Medium Body, Dry. Made from the prized Nebbiolo grape, this wine features flavours of violet, cherries, and cocoa. Undertones of toasted oak, dark fruit and firm acidity dominate the long finish. Enjoy with rack of lamb, mushroom lasagna or garlicky grilled beef. Medium Oak, Medium Body, Dry. Assertively full-bodied, this classic wine features a delicate nose of black cherries, dark chocolate and well-balanced oak. Ripe dark fruit flavours are cradled by firm tannins culminating with a lengthy finish. Fermenting your wine on GenuWine Winery Dried Grape Skins will add deep hues, enhance the bouquet, and promote chewy tannins for a lingering finish. Great with beef stew or pasta with truffle sauce. Medium Oak, Full Body, Dry. A spicy bouquet with black cherry, tobacco, licorice, and coffee notes. The palate is big, round, and flavourful with delicious dark fruit, leather, cassis, and pepper notes. Fermenting your wine on GenuWine Winery Crushed Grape Skins will enhance the bouquet and contribute soft velvety tannins for a round, juicy mouthfeel. Enjoy with braised beef, tomato sauce and pasta or gouda cheese. Medium Oak, Full Body, Dry. Luxurious flavours of dark plums and chocolate greet the nose, while hints of blackberries, toasted oak, and spices are found on the palate of this great Italian classic. Fermenting your wine on GenuWine Winery Dried Grape Skins will add deep hues, enhance the bouquet, and promote chewy tannins for a lingering finish. Serve with Italian pastas such as gnocchi or wild mushroom and risotto. Medium Oak, Medium Body, Dry. A delectable bouquet of sweet ripe berries, spices, and farm cherries, and firmly structured tannins. This assertive wine is bold in all aspects. Fermenting your wine on GenuWine Winery Crushed Grape Skins will enhance the bouquet and contribute soft velvety tannins for a round, juicy mouthfeel. Serve with pasta and rich tomato sauce or beef pot roast. Medium Oak, Full Body, Dry. Perhaps Italy’s best loved grape from Tuscany, this wine is expressive on the palate with lively cherry fruit and a brisk acidity supported by ample smooth tannins with a deep and lingering finish. Fermenting your wine on GenuWine Winery Dried Grape Skins will add deep hues, enhance the bouquet, and promote chewy tannins for a lingering finish. Try with Italian sausage and tortellini soup or ham and swiss stromboli. Medium Oak, Medium Body, Dry. Deep ruby-garnet colour and spicy oak aroma and bursting with vibrant flavours of ripe berries and black cherries. This is classic, food-friendly Italian style red wine. Great with meaty pizza or pasta and tomato sauce. Medium Oak, Full Body, Dry. Big hearted and assertive, this deep ruby red wine is blessed with expressive aromas of tobacco, ripe plums and black cherries. The palate offers explosive notes of blackberries, prunes and vanilla. Serve with penne alla vodka or chicken parmigiana. Medium Oak, Medium Body, Dry. This is a classic with all the makings of a powerful medium-bodied red wine, complete with fermentation on Genuwine Winery Dried Grape Skins. The aroma in the glass is reminiscent of farm fresh cherries backed by streaks of dark chocolate and toasted oak, which ages well into a wine of award winning potential. Fermenting your wine on GenuWine Winery Dried Grape Skins will add deep hues, enhance the bouquet, and promote chewy tannins for a lingering finish. Enjoy with beef stroganoff or chicken with mushroom and onion gravy. Medium Oak, Medium Body, Dry. An assertive wine with aromatics of fresh raspberries supported by subtle hints of vanilla and earth. A concentrated palate of blackberries and black pepper with firm tannins. Fermenting your wine on GenuWine Winery Crushed Grape Skins will enhance the bouquet and contribute soft velvety tannins for a round, juicy mouthfeel. Great with slow-cooked beef and pork or aged cheese. Heavy Oak, Fully Body, Dry. A fruit forward nose with aromas of raisins, dark cherries, and toasted oak. Notes of sweet chocolate, prunes and firm tannins grace the palate. Fermenting your wine on GenuWine Winery Crushed Grape Skins will enhance the bouquet and contribute soft velvety tannins for a round, juicy mouthfeel. Tastes great with stuffed mushrooms or veal parmigiana. Medium Oak, Medium Body, Dry. A bouquet of black cherries and plump dark fruit are framed by the ample aromas of tobacco and dark coffee. Fruit forward with an array of spicy flavours on the finish. Fermenting your wine on GenuWine Winery Crushed Grape Skins will enhance the bouquet and contribute soft velvety tannins for a round, juicy mouthfeel. Enjoy with pork and squash or honey mustard chicken. Medium Oak, Full Body, Dry. This rustic red wine has a soft, rich texture, silky tannins, and fills your palate with ripe plums, currants, cherries and red berries. Enjoy with spaghetti and meatballs or beef burritos. Medium Oak, Medium Body, Dry. 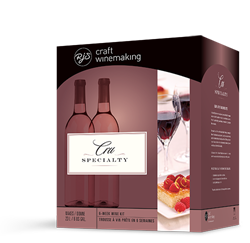 A medium-bodied and dry Merlot style wine with aromas of tart strawberry and flavours of berries with light floral notes and a short clean finish. Pairs well with Shepherds pie or beef stew. Medium Oak, Medium Body, Dry. A smooth, rich wine, medium dark in colour, with notes of blackberry and currants. A hint of green olive in the bouquet will pleasantly surprise you. Serve with homemade hamburgers or roast chicken, thyme and onion. Medium Oak, Medium Body, Dry. Abundant red fruit, spice, and sweet smoke notes on the nose draw you in. 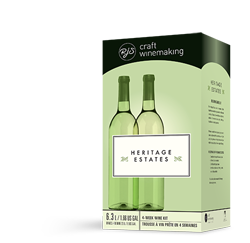 The full-bodied palate and signature long smoky finish are true to character for this unique Niagara variety. Fermenting your wine on GenuWine Winery Dried Grape Skins will add deep hues, enhance the bouquet, and promote chewy tannins for a lingering finish. Pairs well with red meats of any kind including barbecue ribs, burgers and smoked brisket. Medium Oak, Full Body, Dry. Bursting with the aromas and flavours of strawberry jam, complimented by raspberries, rhubarb and floral notes. Juicy on the palate, it's exquisitely balanced with a luxuriously smooth mouthfeel. Sip on its own, or savour with planked salmon, grilled chicken or ripe Brie cheese. Unoaked, Medium Body, Dry. The soft texture and dark colour compliment the flavours of berry fruit, with a subtle raspberry undertone. An approachable yet still sophisticated red wine. Try with butternut squash soup or chicken, raisins and pine nuts. Medium Oak, Medium Body, Dry. A dry and light-bodied wine with crisp acidity and very little tannin; plenty of fruit flavour with some cherry and red berry notes. Serve with pasta and roasted vegetables or grilled eggplant. Light Oak, Medium Body, Dry. This elegant wine offers aromas of fresh, succulent red plums and floral notes on the nose. The palate is juicy and complex with hints of spice and floral notes coming through on the finish. This red wine brings together juicy and sweet flavours of wildberries and the rich and crisp notes of orchard fresh pomegranates. This delicious elixir is best enjoyed chilled. Deep in colour, high in tannin, robust, and intense on the palate with earthy notes of mushroom and black fruit. Pair it with your favourite grilled meats. Pair with a prime rib roast or creamy mushroom lasagna. Medium Oak, Medium Body, Dry. Aggressive in nature, it is crisp, clean and spicy with a subtle black pepper flavour. A perfect match with Italian food. Enjoy with Caesar salad and meatballs or a hearty pasta dish. Medium Oak, Medium Body, Dry. A Shiraz style with fruity aromas of ripe raspberry with floral and spice nuances; dry and full-bodied with balanced acidity and soft tannins. Tastes great with barbequed meats or pizza. Medium Oak, Full Body, Dry. A nose and palate brimming with spicy black pepper notes, dried dark fruit, earth, and a hint of tobacco, with a lengthy and elegant finish. Fermenting your wine on GenuWine Winery Crushed Grape Skins will enhance the bouquet and contribute soft velvety tannins for a round, juicy mouthfeel. Serve with grilled onion and sausage paninis or rigatoni and creamy tomato sauce. Medium Oak, Medium Body, Dry. An intense, deep-coloured red wine boasting a velvety yet fruity flavour with a long, lingering finish. Aging will only add to the complexity of this food-friendly wine. Pairs well with ground turkey burgers or pepperoni pizza. Medium Oak, Medium Body, Dry. This off dry ruby red wine presents succulent flavours of fresh ripe blackcherries balanced by a subtle touch of tannins. Light and fruity, this thirst quencher is a great addition to any summer festivity. A traditional, unoaked French style red wine with spice and berry fruit aromas, rich berry fruit on the palate and spicy notes in the finish. Enjoy with a heavy meat dish or wild rice and mushroom salad. Unoaked, Full Body, Dry. A complex blend of grape varietals, this rich wine is dark in colour and high in tannin, leaving a hint of plum on the palate. Tastes great with lasagna and pesto or spaghetti and meatball.s Medium Oak, Medium Body, Dry. A cooler climate style Merlot from Washington, this wine features classic flavours of cassis and chocolate. It is dark and rich with complex notes of blackberries and velvety tannins. Fermenting your wine on GenuWine Winery Dried Grape Skins will add deep hues, enhance the bouquet, and promote chewy tannins for a lingering finish. Great with Italian sausage pizza or Mediterranean lamb. Medium Oak, Medium Body, Dry. 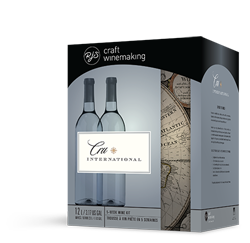 A modern, new world style wine featuring a blend of Cabernet Sauvignon, Syrah and Zinfandel. Aromas of vanilla, red berries and black cherries and sweet flavours of ripe raspberry, chocolate and cherry. 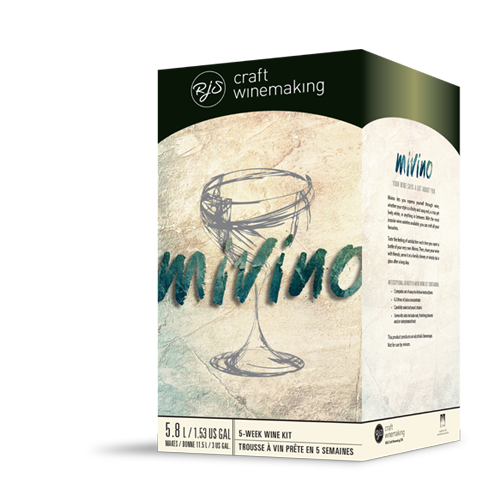 Fermenting your wine on GenuWine Winery Crushed Grape Skins will enhance the bouquet and contribute soft velvety tannins for a round, juicy mouthfeel. Pairs great with BBQ beef, potato salad, coleslaw and french fries. Medium Oak, Medium Body, Dry.